The editors and writers of National Review recently did something extraordinary. They came out en masse against a Republican candidate during the primary. Their “Against Trump” symposium and accompanying “Editors introduction” offer up a barrage of attacks on Donald Trump’s surprising presidential candidacy. For the symposium, National Review assembled an enormously diverse group of conservative thinkers, from “movement conservatives” to more “establishment” types, to “conservatarians.” Clearly, this is no monolithic bloc. 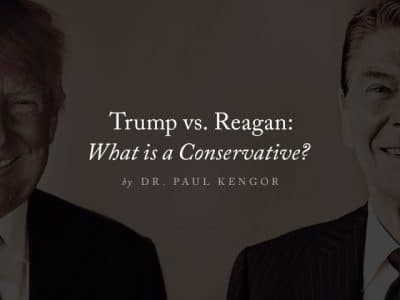 Yet there they are—an eclectic bunch of odd bedfellows making the same core argument: Donald Trump is not a conservative based on any meaningful definition of the term. The National Review’s writers make this case fearlessly, meticulously, and thoroughly. In past and current statements or actions, Trump has violated virtually every pillar of conservatism. Some of his positions defy constitutionally limited, liberty-motivated government (e.g. his support of eminent domain); contradict traditional values (e.g., his sometimes support for Planned Parenthood); and call into serious question whether he really is a foreign-affairs conservative by any measure (e.g. his protectionist proposals on trade or his willingness to contemplate Russian hegemony in the Middle East). On whether Donald Trump is a consistent, true conservative … the case is arguably closed. One widely touted source, YouGov, reports that only 13 percent of Trump voters describe themselves as “very conservative” versus 20 percent that describe themselves as liberal or moderate. Only 30 percent of them say that they identify with the Tea Party movement, according to a Newsweek summary of the YouGov data on Trump. In short, the “Trump is not especially conservative” refrain doesn’t work with his supporters because neither are they. How can it be so? 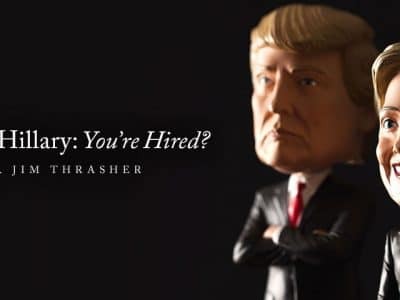 How can it be that the Republican currently garnering a large plurality of support in a crowded but highly qualified field of candidates (many of them unquestionably conservative) is the one with the feeblest conservative credentials and some of the most heretical statements and positions? One plausible and compelling answer to this question is embodied in Tim Groseclose’s path breaking book, “Left Turn.” The book covers an awful lot of ground, beginning with a detailed demonstration of how to define, quantify, and trend liberal media bias; and an amazingly rich and systematic account of how liberal media bias actually happens in practice. These are, in themselves, hugely important contributions. But the most relevant finding of the book is reflected in its subtitle: “How Liberal Media Bias Distorts the American Mind.” Simply put, liberal media bias is exerting an independent effect on the “political quotient” of the average American and is moving it steadily and substantially leftward. By Groseclose’s math, media bias has shifted the average American political quotient approximately 20 percent further left, to the point where it is worth about 8 points in presidential elections in favor of Democrat candidates. That is significant. Other widely accepted data sources validate the trend, if not the causes. According to recent data from Gallup, the percentage of Americans who identify as “conservative” outnumbers “liberals” by 37 percent to 24 percent (with 35 percent identifying as moderates). But in 1992, that same percentage for conservatives was 43 percent versus 17 percent for liberals. A 26 point gap between conservatives and liberals has shriveled to 12 points in just over 20 years. Is America still the “center-right nation” it is so often assumed to be? Perhaps. But it is far less so than it was, not even a generation ago. True, the fight isn’t fair. Undoubtedly, liberal media bias forms colossal, perhaps even insurmountable headwinds for conservative ideas. Regardless, it seems abundantly clear that the conservative punditry is overestimating the conservatism of the Republican and national electorates. Just to offer a couple of examples, the current Republican front runner frequently argues against entitlement reform. Worse still, the Republican candidates (as a group) are talking less about the debt and deficits than at any other point in recent memory. Put differently, conservatives must confront the simple reality that they are losing the argument. This being the case, at least one truth is manifest: effectively making the case for conservative ideas is more important today than ever before. Conservatives can either take up this fight, or accept being mere enablers in the self-reinforcing “triumph” of American liberalism. 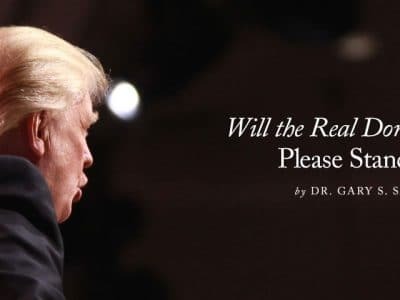 Certainly, conservatives can (and should) also debate the wisdom of their flagship journal taking such a definitive stance regarding one particular candidate this early in the cycle. But the effort to clearly define and passionately argue for true conservative ideas is really the best hope they have. In this battle for the conservative mind, National Review’s contribution has always been and continues to be, invaluable. This entry was posted in Biography, Economics & Political Systems, Feature, Media & Culture by R.B.A. Di Muccio. Bookmark the permalink.